A lo-fi phone films a smarter phone. Mobiles are at once news aggregators, radio stations, banks, protest platforms, game consoles, secretaries and much more. The complexities of having immediate, omnipresent access to this tool of such broad use in our lives hasn’t been fully explored; what we know and what we do with the phone is riddled with consequences in both the non corporeal world of the internet and IRL (in real life). This piece explores the consequences of a futile action, by surfing what online reports of what the Syrian American Medical Society (SAMS) and Physicians for Human Rights (PHR) have called a “stranglehold” on the town of Madaya. Since in July 2015, unbelievable amounts of Madaya citizens have died from starvation and malnutrition as a result of the Syrian government’s position. At the close of 2016 food shortages have worsened, the difficult dichotomy of knowing injustice exists without being able to effectively do anything about it, has increasingly become a very contemporary condition of our times. Reposting a tweet, to some extent, spreads this ‘ineffectiveness’ on social media, so that even by raising awareness, we are at the same time raising levels of the condition which afflicts all of us, who are not working directly for these causes. Punctured by sounds of a stomach rumbling, the piece explores the limbo we are in, as regards ‘reposting’. Doess scrolling and reposting help, or is it wholly ineffective or are we essentially working to numb people to the despair of others altogether, while passing on to our followers the stress of knowing they too are doing nothing directly to help, passing on the pain this schism incurs. What Doesn't Decay, 2013. Cinefilm and tape loop installation. Video piece for performance, Noise of the Middle East. Variations for a Space and its History – an Art Dubai commission for the not-for-profit ‘Commissions’ section, 2015 by Bradley-Weaver (Fari Bradley and Chris Weaver). One trained and two untrained voices intervene in the solemn atmosphere of the art fair, at different intervals. From a top balcony at the entrance, an opera singer begins, and then takes the elevator to ground floor, singing an ode written by the artists, to the mostly unsung archeologist Beatrice de Cardi, then aged 100 yrs. De Cardi (Beatrice, after Dante’s muse Beatrice) pioneered the archaeological scene across the Middle East. In the 60s no one was sending digs over to the Middle East as it was considered a void as far as archaeology was concerned. Beatrice persevered with her illiterate guide and together they found links between Fujeirah and the Indus Valley civilsation, amongst many others, gaining her awards from the Sheikhdom for her work. As the singer progresses from room to room the acoustics change and the ode becomes increasingly tonal until at the base of the stairs they entered a darkened space around an apparently fallen piece of ancient architecture, a muqarnas that holds up the Coppola of a mosque. The tones of the space resonate and flux continually, interrupted by tones from an imagined architecture, a past ‘reality’ on the very same spot. Here the untrained voices join in an almost feral improvisation with the tones of the architecture, making use of the acoustics of the space and referring to the immovability of the ‘presence’ of the spot, despite man’s transient constructs, continual since the beginning of time. The work is an iteration of a piece previously performed for the International Symposium of Electronic Art, Dubai 2015. At an arts space in the rural fringes of Dubai’s city centre, a group of architects, most of whom do not normally sing, explore the architecture of the space with voice and hands. An amplified audio installation by Chris Weaver and Fari Bradley, the choir was comprised of architects, engineers and urban planners from different Emirates around the UAE, created for Tashkeel (where with was filmed by Bradley) and the International Symposium of Electronic Arts 2014. The choir followed the rolling tones generated by the building interacting with the space. At both performances the audience listened rather than looked via the mediums of a partial wall between the audience and the choir, or individual eye-masks which then allowed the choir to circumnavigate the audience while singing back to the space. 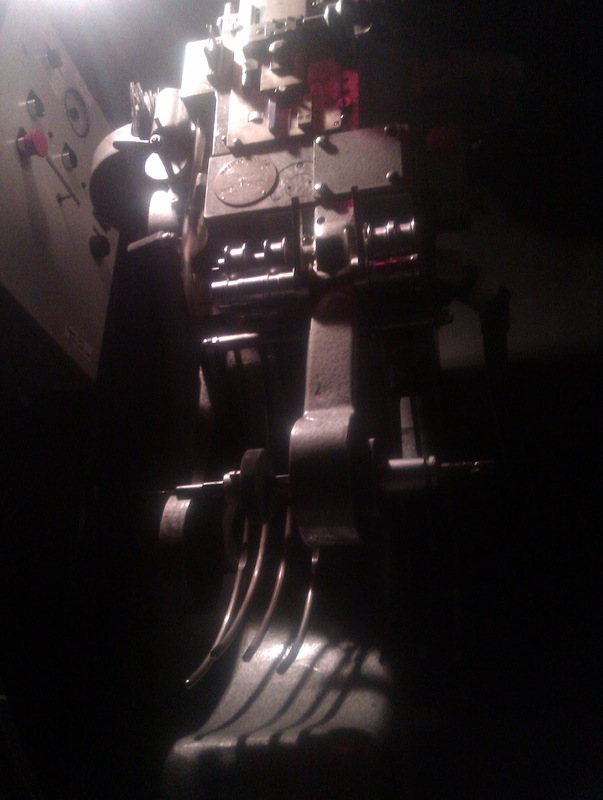 What doesn’t decay… finds a correlation in the degradation of cine film and the human capacity to recollect. Created during her one year residency with Sound and Music at no.w.here in London, the installation creates a third space where the celluloid and audio tape are protagonists in the edification of, and subsequently rewriting of memories; as the film and tape decay so does the fidelity to fact with time. 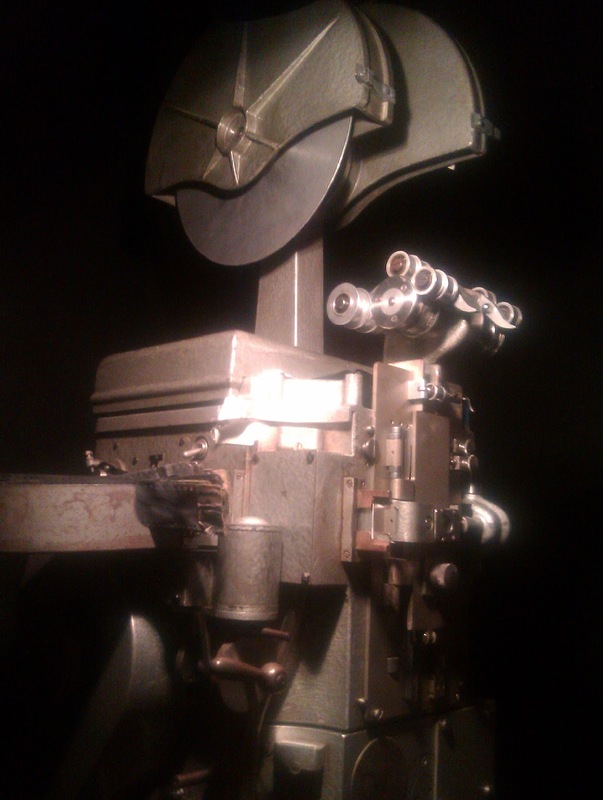 The installation consists of a powered cine film projector, a reel to reel tape recorder and a vintage speaker and a small digital, hand-held projector that projects a smaller image, overlapping partially with the main cine film projection. For a period in the 1960s and 70s, when cine film and reel to reel tapes were at the forefront of technology, UK and Iran (where Bradley was born) shared a degree of unity in how they looked and sounded, as well as how they were portrayed in film and audio, both countries being then in ‘the analogue’ or pre-digital state. After 1979, due to an ongoing feud with the UK and USA over oil prices and per cent age shares in exports, Iran drastically cut ties with the West, changed to an Islamic republic and never looked or sounded the same again. For many of those who left due to the onset of the Islamic revolution, secular Iran remains an isolated period of 70s design and technology, one now only to be found in old footage, vinyl, cassettes and photographs. However, in the UK too, with the onset of the digital age, the distinctive presence of 70s technology has since all but disappeared. For What does’t Decay…, Bradley spent a year experimenting with development processes and the degradation of cine film, using crude oil directly on the film stock itself and partially burning and melting it for before reshooting and reprocessing by hand. 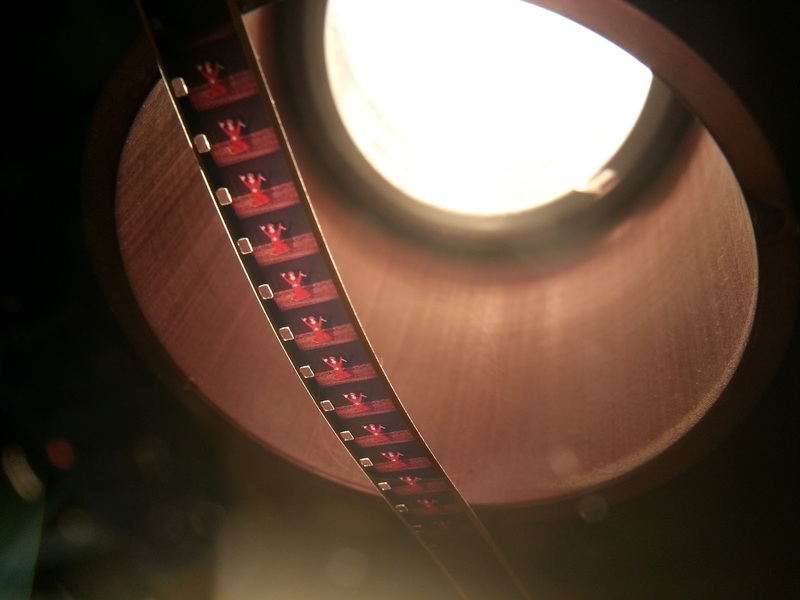 Bradley explores the degradation of film in a work that is shaped by the limitations of analogue colour cine-film processing in the digital age. During the course of the one year residency at no.w.here, the sourcing of colour film for the copy/ transfer process became increasingly difficult. The disappearance of positive colour film stock from the market, and the demise of both the equipment to copy it with and places it can be copied in, manifests here in the reframing, the colouring and the purposeful degradation of the film. It is a disappearing medium. Simultaneously, ideas of the subjective nature of memory play out in the audio, captured by unidentified Iranian, English and American voices retelling experiences of sounds and design in the 70s. 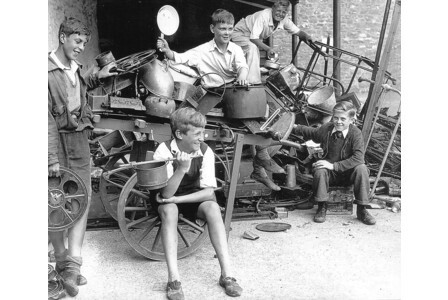 Irrespective of which country they were living in the recollections have a particular resonance with one another, each framed more by the era in which they were living than their country of residence at the time. Pixelated imagery moves onto carefully over-layered imagery of 1970s oil fields and aerial views of Iran, the film follows the narrative of several voices. Each one is speaking to film maker Fari Bradley recounting their relationship with an Iran of the past and currently of the diaspora, live on radio. These conversations that happened off camera are at one intimate and immensely revealing, while the imagery plays on one of Bradley’s oft-visited themes of both shared and borrowed memory, and the richness of celluloid. An exploratory, improvised piece using dance, paint, light and sound at RISC Global Cafe, Reading. I’m drawing out the top frequencies here to create a smelting of the piece while it plays out beneath, so that the khatak dancer doesn’t lose her rhythm. There is a significance of the male voice calling out the time to our energetic dancer in red, while the dancers use red paint to create a shadow and light play in colour the background. Below are blog updates from a 2013 sound-art residency that took place at no.w.here, an artist-run space for artist working with cine fil m.
“The residency began with an open call for home made films from Iran in the 1970s and will end with an installation on projector of my own film work including adapted and re-purposed home movies from Iran. Sponsored by Sound and Music, my time at no.w.here was spent learning how to shoot and hand develop 16mm and 8mm cine film. 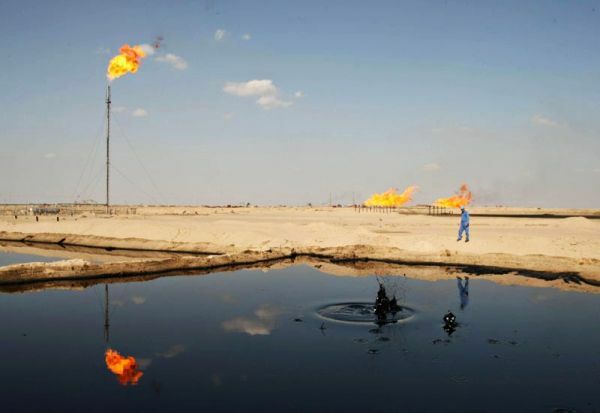 My cine-audio project is based on ideas of Iran-UK-USA relations in the 1970s, similarities between them in the analogue age and tensions caused by oil exports from one to another. The installation which will take shape for exhibition in Summer 2013. 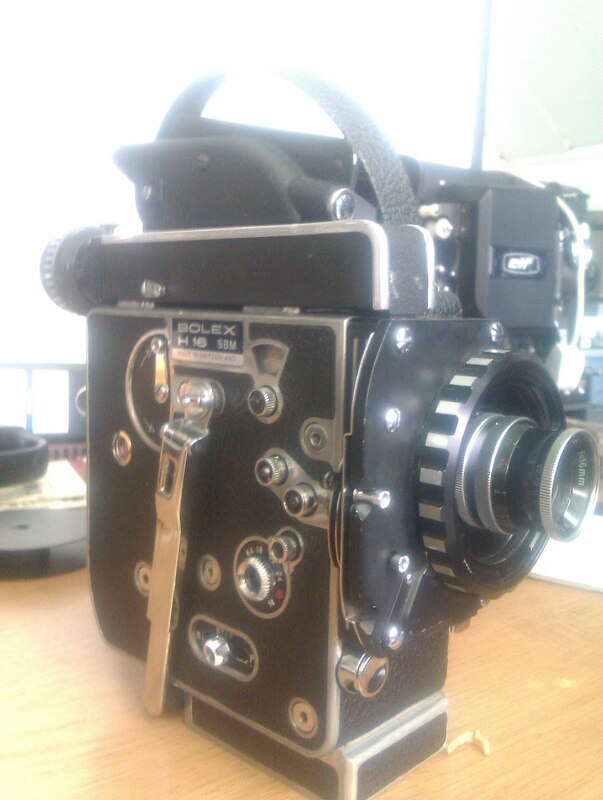 This picture is one I took of the hand-cranked cameras we’ve been using, a Bolex, that takes 16mm film. I can hardly watch one classic film anymore (last weekend it was 400 Coups by Truffaut for example) without wondering which camera it was shot on, how they managed it, how long it took to get the film so right. equipment is not available anywhere else in the UK. We scheduled a peer to peer to review screening at no.w.here for invitees this month. They were mainly established artists, producers and film makers. 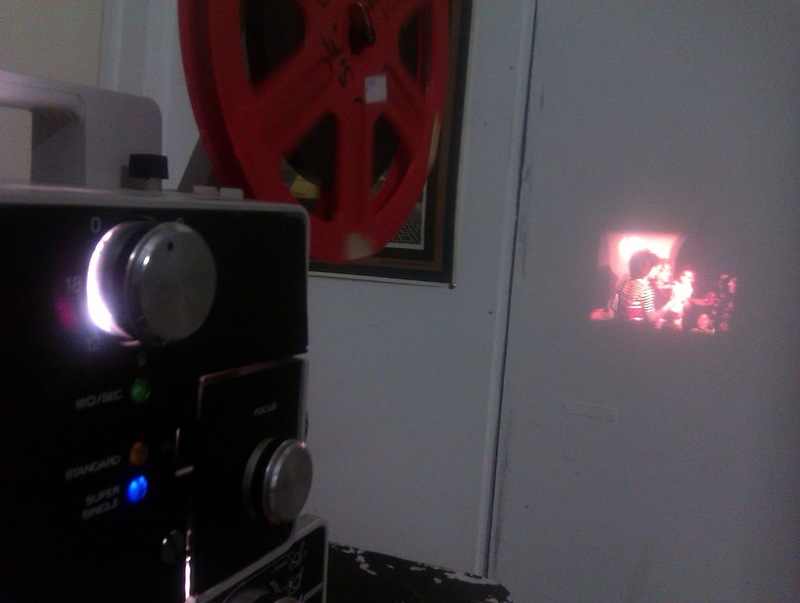 The film has become an installation for projector, hand held projector and reel to reel tape machine. It was surprising how useful and insightful the process was. Experiments with burning, melting and crude oil. Not to mention reproduction and even sourcing 16mm positive film. Extracting audio, experimenting with projection techniques. It’s haunting to hear voices where for so long there have been none, just impressions of light and shade on film moving across the celluloid. Currently researching analogue, everyday sounds. Most of them are mechanical, bar the sound of people selling their wares. Amazingly in my area, a man comes around on Sundays with a cart and horse and calls out from street to street for people to bring out their old iron to him. I ran out and took a photo of the cart and gave him some stuff I’d been storing for him since last time he passed. The horse was immense and had long hair over its hooves, and the sound of his voice and the horses metal shoes rung from wall to wall of the houses, and morphed as it moved into nearby streets. He is competing with two men who also pass by on the odd Sunday, but they drive a van, and through the open window one of the hangs his arm out ringing an old bell with a wooden handle. They are perfect sounds for a Sunday. After weeks of capturing frame by frame we’re finally ready to begin printing the captured images. And we also have sound! Revealed here are a puppet show with distinctly Iranian puppets, while I won’t be using these images in the final piece, they are captivating to see. Pictured here are the hand-turned reels for rewinding tape backwards and forwards on. With this, and the feeling around in the complete blackness of the dark room to roll film onto cartridges, progression is in real time, there’s no drag and drop here. Another process I’ve been experimenting with is augmenting the film by projecting onto meaningful objects. 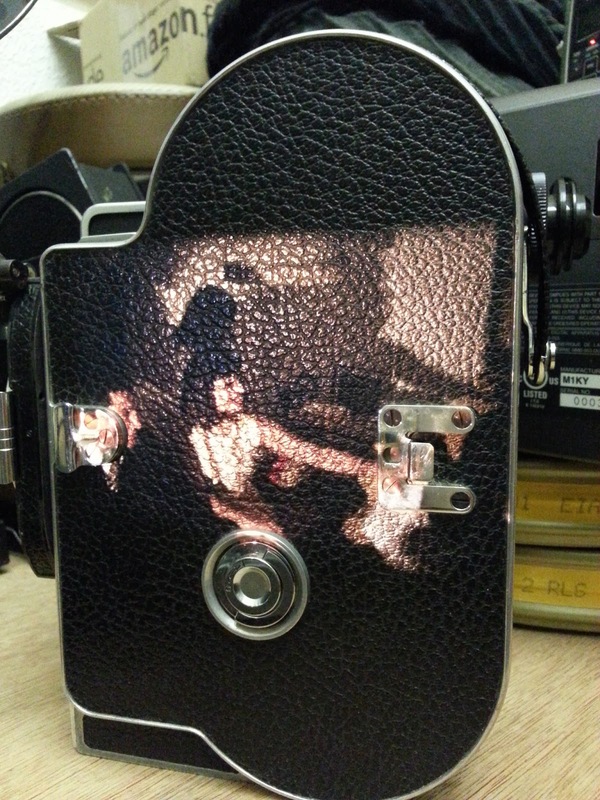 Here I’m playing with the textured surface of the very Bolex the images are being captured on in a self-reflexive gesture, and below other people’s memories move across an empty film can, enhancing the already sepia tone that shrouds the colour images. The animism offered by this method of projection is at once oblique and appealing, for the details we lose in the rough surface, others are suggested. Cracking, buckling and bubbling is something I associate with old, decayed film. There is also a sense of seeing through the camera in another fashion, no longer the singular realm of the camera-person, the viewing of a film on a camera’s body case can be collective, and as JJ Charlesworth write of artist Laura White in “Seeing Through Objects” (2), a sculpture is created when film is projected onto any object, the two become combined and are reframed as one. Experimenting with oil and liquid on film in preparation for the sequence with crude oil being applied directly to sections of film. 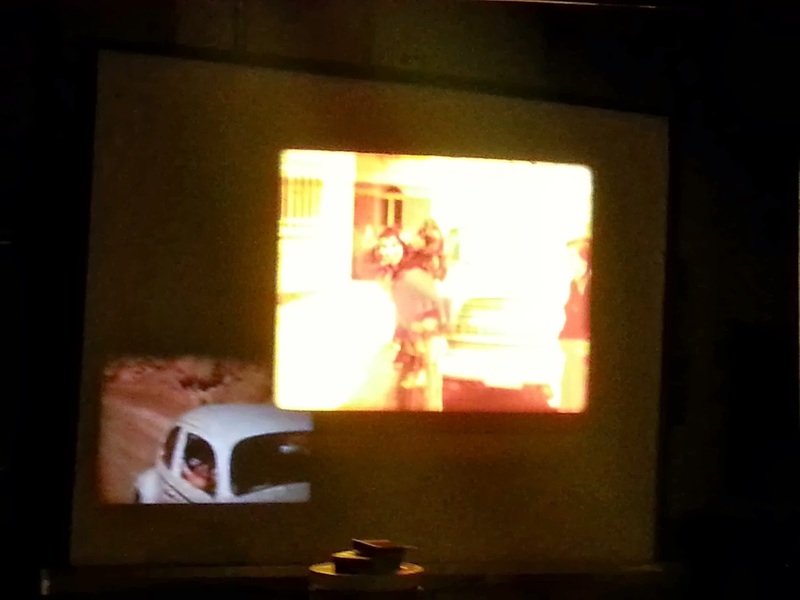 The was filmed using a rostrum camera, and these are digital reshoots of the printed images on projector. A short report on this new development in my project features here. 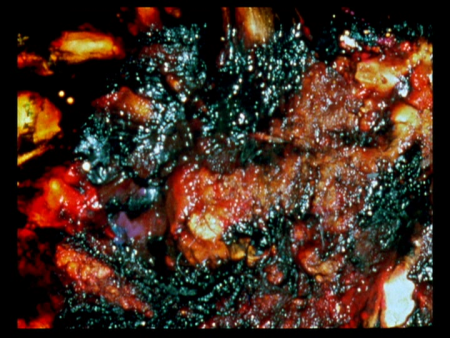 The burning process takes inspiration from both the oil fields in Iran, and the techniques of Brakhage. Celluloid, the thermoplastic with which I’m working is a matter derived from petrochemicals and famous for being highly flammable. Part of the process to derive the chemicals is called Fluid catalytic cracking, which is done at crude oil’s boiling point of 340°C in reactors and regenerators. The mixture of oil vapors and the catalyst used to extract the chemicals enters the reactor at a temperature of about 535 °C, and very high pressure. After that the coke that is created is burned off in the regenerator at a mind blowing 715 °C. It’s as if we were creating the centre of the earth’s core on it’s crust. Instead of Brackage’s moth wings I am using silhouettes of 19070s designs on acetate. 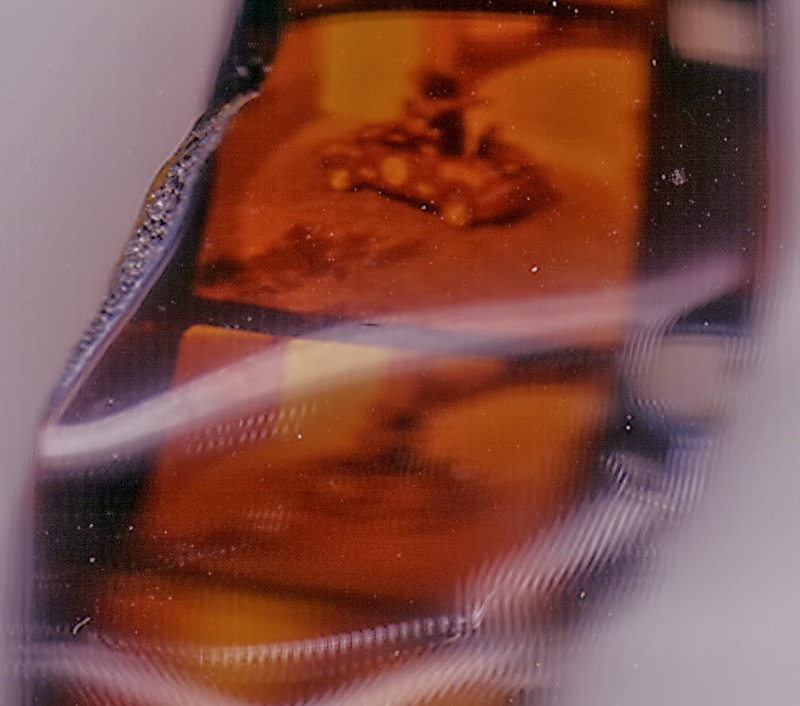 Acetate has the same nitrate composition as film and was used in virtually all major motion pictures prior to 1952, now all motion picture camera negatives are shot on acetate film. I’ve not taken these films as inspiration, being a sound artist I was moved by Bill Morrison’s film Decasia to explore the idea of the passing of time, the demise of past societies and the decay of film, and how sound can both illustrate and confuse these themes. This image is both wonderful and poignant. The anonymous figure, visibly carefree here on the beach in Iran, is enjoying a fleeting moment before the motorcycle she is on shoots off down the beach. Yet already around 11,000 daylights have passed since then, and that day is dead, preserved only in static, trapped objects and wavering memories. Not only the moment is gone, but surely the woman as she was in the picture too, for as we grow old we change and lose, as a snake does its old skin, our previous selves. After months of watching and learning I’ve started shooting. The poetics and personal turnover of what I’m doing never fails to affect me. I am essentially magpie-ing other people’s memories, from a period lost to us all in terms of its physicality, ideology and space. 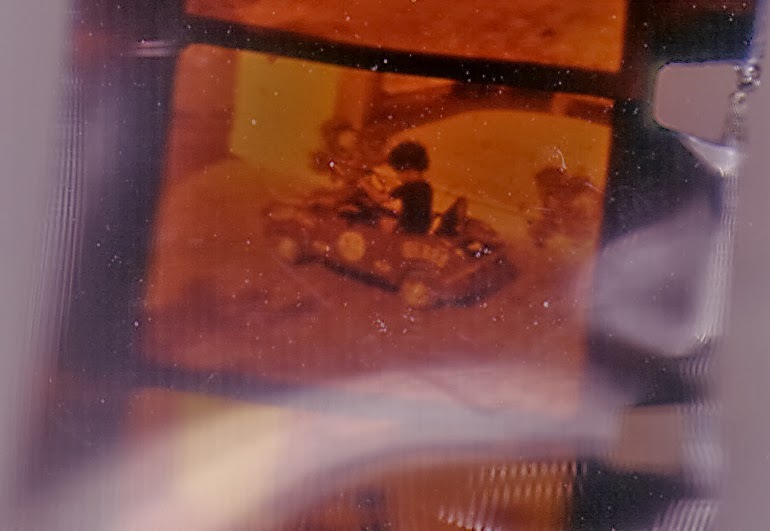 See here the image of an Iranian rose garden as seen through the glass prism (critical gate focuser), made of ground glass. 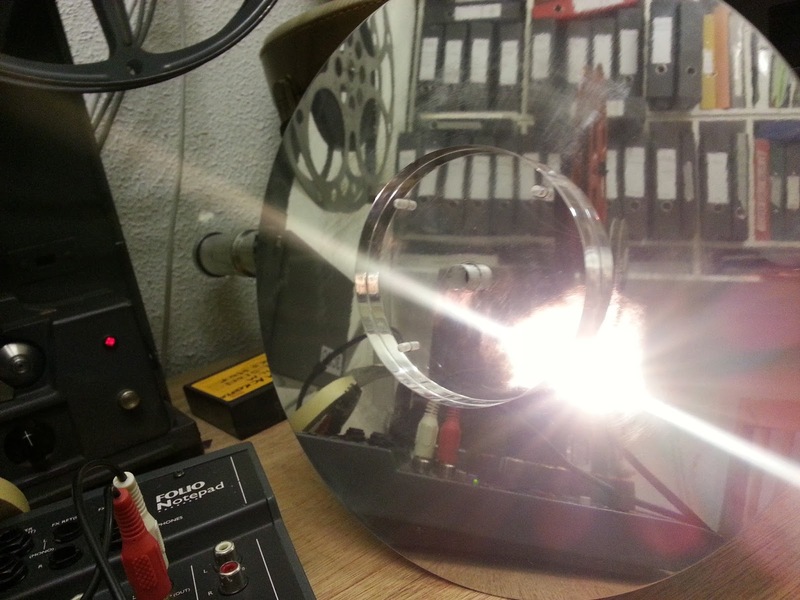 A reflection of a reflection of light onto film. 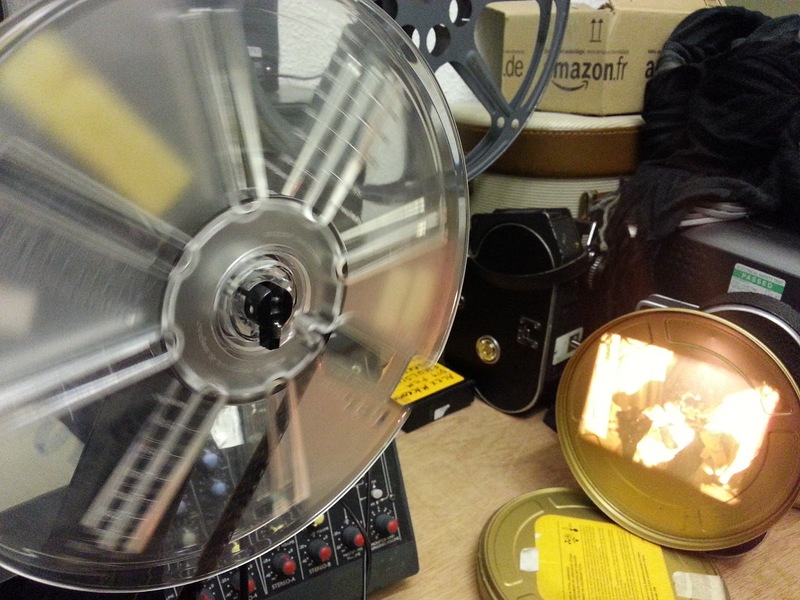 As part of my residency I’ve learned how to transfer negative to positive film reels… in the dark. 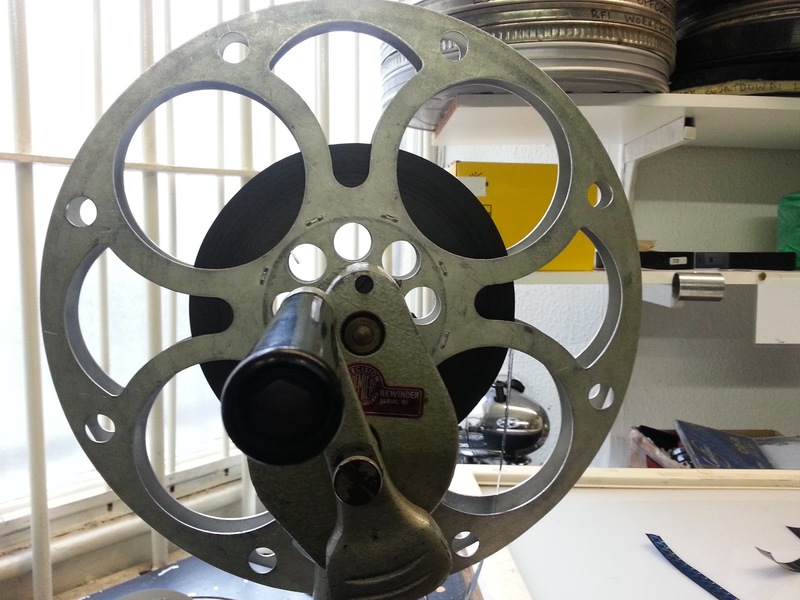 the new reel with a yellowish, possibly sepia tone. 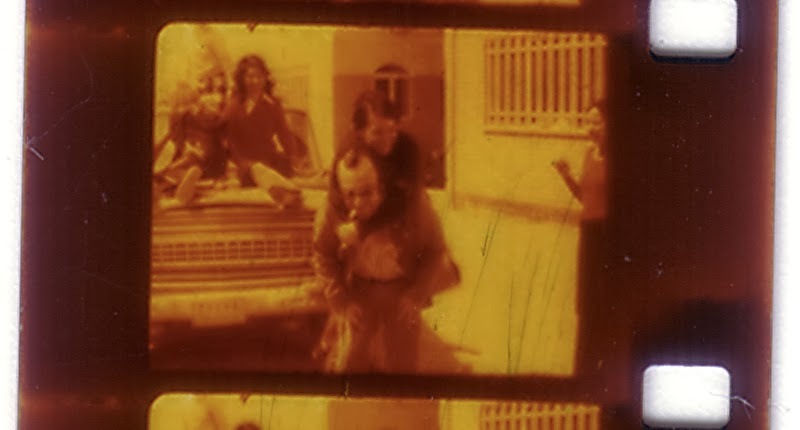 For my project I’ll be copying 1970s home movies so that I can keep a version to work on. Better get some ear plugs. Below is my short film of the viewfinder in the Contact Printer, where a ghostly figure appears head and shoulders for a brief moment. By chance my phone seemed to record it’s own glitch, so that there are pixels missing from certain frames. What an interesting juxtaposition of two forms, each with their own merits and drawbacks. 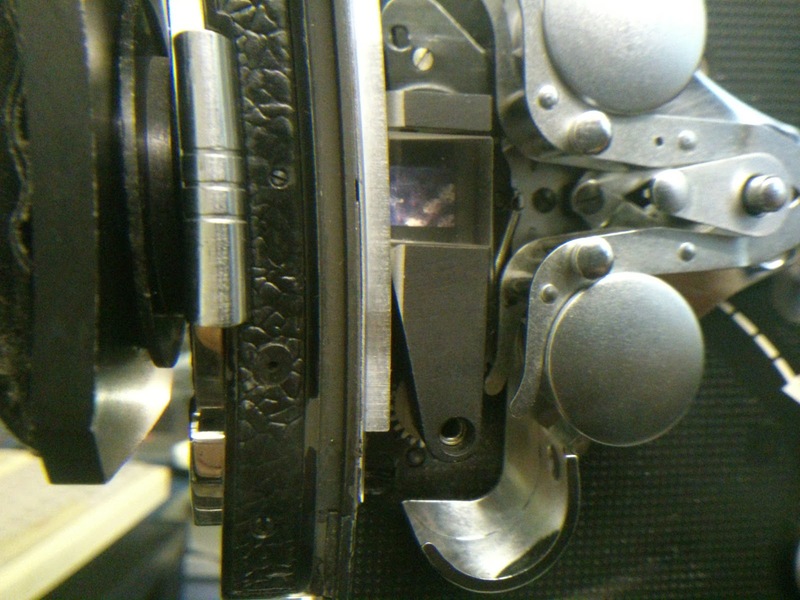 As usual with all this cine-film machinery, the viewfinders are grainy, hard to focus on and only a means to estimation. It’s a voyage of discovery, simply processing, nothing as exact as digital. I begin an exciting Embedded sound and film residency at no.w.here studios this week. Sponsored by the music and sound monolith Sound and Music, I’m currently learning how to shoot and hand develop 16mm and 8mm cine film. This is in preparation for my own cine-audio project based on ideas of 1970s Iran-UK relations, which will take shape for exhibition in February 2013. 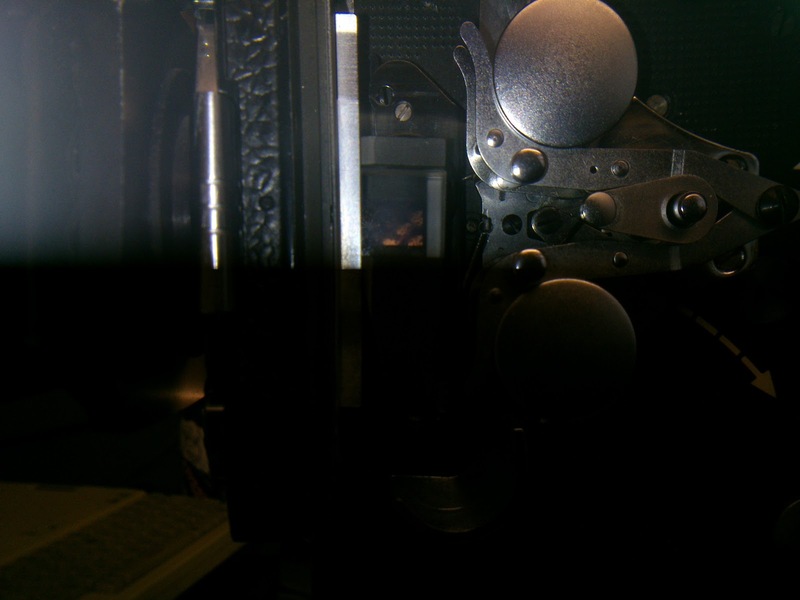 So Ive been filming suing the Bolex, in 16mm film which needs the beautifully designed light meter (left) in order to shoot at the right exposure. 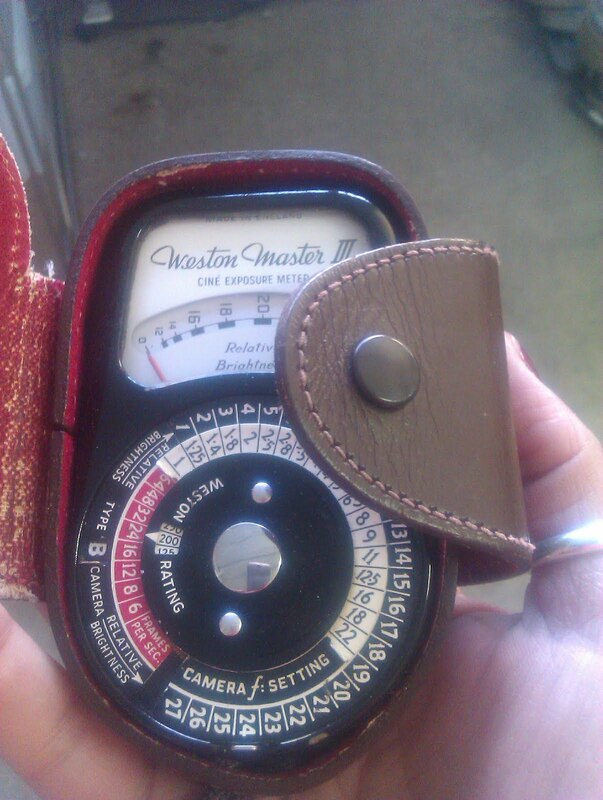 I love this light meter, if only all design could be as lush, stylish and friendly! The Bolex below took me by chance into a trimmings shop across the road. After passing the art-deco styled reception I got through to the bowels of the shop, where the shopkeeper told me that we were standing in the first cinema in the UK to screen a Charlie Chaplin film. Find! So far I’ve filmed chickens being blow-torched, men’s hair cut at open barbers, kids running around poles and inside a shambolically retro laundrette where I perchance found a Bolex enthusiast.